New smartphone player Realme outs C1 for younger demographics. The smartphone fuses performance and style. 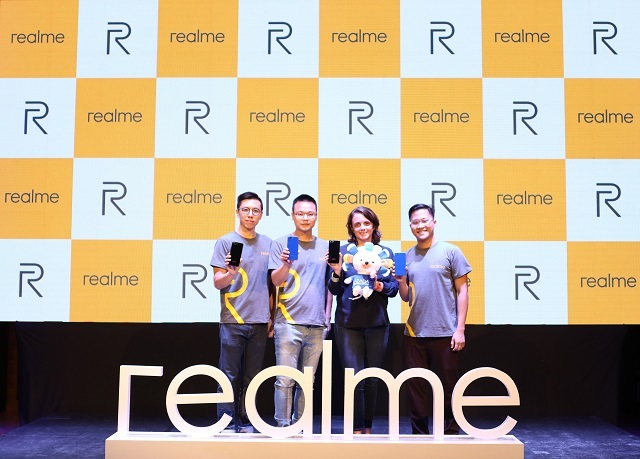 Realme C1 is now official in the Philippines. The smartphone becomes the poster-boy of the company’s entry to the country. Realme C1 provides the best of quality, performance, and style as it aims for the younger demographics. The company dubbed the Realme C1 as the “Entry-level King” making it one of the most sought-after devices this season. The handset is priced at Php 5,990, but it will be sold at Php 5,490 via Lazada Flash Sale on December 5th. The Realme C1 packs a juicy 4230mAh mega battery which, according to the company, could last up to 44 hours of phone calls, 18 hours of music playback with Wi-Fi, and 10 hours of gaming. The handset uses its Power Saver and Quick App Freezing feature to reduce overall power consumption. The Realme C1 ticks with a Qualcomm Snapdragon 450 octa-core processor with up to 1.8GHz speed. Packed with a powerful image processing and 2GB RAM + 16GB ROM, it can run multiple types of games smoothly and without any lag. There are two nano 4G SIM card slots and a dedicated micro SD card inside the Realme C1. The smartphone frames a 6.2-inch super large screen, making it the first large-sized notch full-screen smartphone in its price segment. The phone achieves a screen-to-body ratio of 88.8 percent, and a 19:9 screen display because of a more compact arrangement of the earpiece, front camera, and light sensor. Likewise, the Realme C1 boasts a third-generation Corning Gorilla Glass with native damage and scratch resistance. In addition, with 12 layers of nano-scale sheet laminate and 2.5D nano-scale composite material, the device has greater hardness and better wear and scratch resistance. It also features an electroplated layer that increases hardness, prevents wear, and improves smoothness, heat resistance and surface appearance. Its back panel was subjected to a unique ink printing technology which gives the rear cover a translucent texture for a three-dimensional effect. 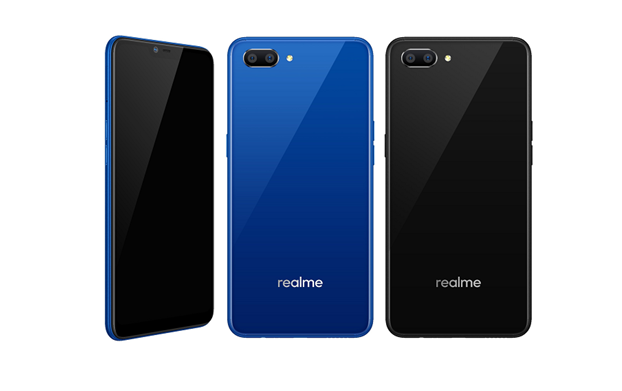 You can get the Realme C1 in Mirror Black and Navy Blue. The Realme C1 is boasts a dual-rear module with 13MP + 2MP sensors supported with software algorithm. It supports portrait mode and PDAF. The selfie camera is a 5MP affair. It comes with AI Beauty capability which takes photo editing to a new level. It supports 296 recognition points which intelligently recognizes gender, age, skin tone, and even skin type of characters through AI algorithms. Thus, it can accurately identify and provide individualized beauty schemes from 8 million beauty solutions. Intelligent AI Beauty records and learns the photo editing habits of the user in the local album and applies these editing points in future photo sessions. The Realme C1 supports facial unlock and SmartLock. Facial unlock captures 128 face recognition points through the front camera. Likewise, it boots with ColorOS 5.1 which supports Clone Apps and full screen multitasking. The Realme C1 (2GB + 16GB) is available for Php5,990 this Christmas season. However, Realme partnered with Lazada for a Flash Sale on December 5th. With this, you can only get the Realme C1 at Php 5,490 by 12NN.